Selections and excerpts from a two-year correspondence between Julius (1918-1953) and Ethel Rosenberg (1916-1953) as they awaited execution in the death house at Sing Sing Prison. The readers are Gerald Fritz and Lois Adler. Narrated by Eric Nord. Directed by Lois Adler for WBAI's 99.5 Radio Theatre. 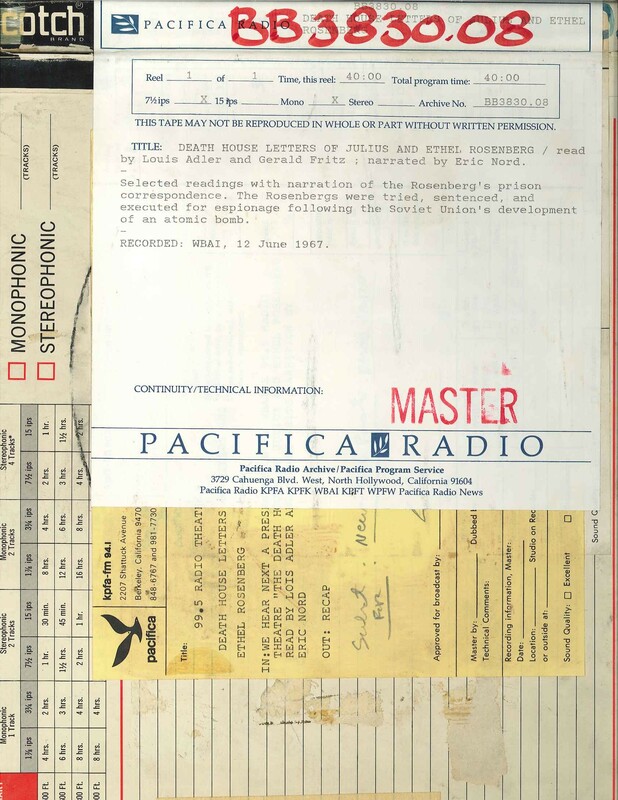 This recording was formerly cataloged as BB3830.08.